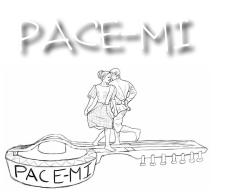 PACE-MI is a tax-exempt/nonprofit 501(c)(3) organization based in Ann Arbor, Michigan, USA. Its founders started with one common goal - form a culture learning organization that will be continued forward by the younger generation. Our mission is to provide community-based educational programs and resources on Philippine arts and culture by promoting Filipino heritage through learning of the Philippine Rondalla, Kulintang, and the traditional Folk Dances, and teaching these skills forward to the next generation of learners. We are inspired by the Filipino ethnomusicology students who have visited our community and left behind not only their Philippine instruments but also a commitment to continue what they taught about Philippine traditional music, songs and dances. PACE-MI is also a continuation of the many community organizations on Philippine culture that had established in this area. Our vision this time is to have a sustainable organization where the younger generation teaches forward what they have learned. Our main learning outcomes include (1) special concerts, (2) student recitals, and (3) community workshops. This year from January 01 to May 1, 2015, we have done over 200 hours of group lessons and practice involving an ensemble of over 30 instruments, 15 performers, and the participation of 20 families. The success and sustainability of this movement depend very much on your generosity and endorsement of our vision.